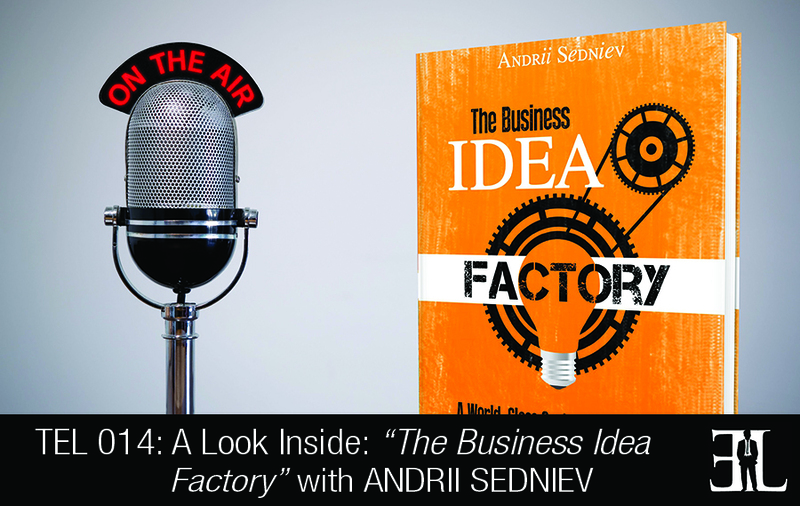 In this episode Andrii Sedniev shares his insights and inspiration for writing his book, The Business Idea Factory. Sedniev believes that coming up with ideas is essential for business and provides you with all the techniques and stages of creating them. This book is perfect for the entrepreneur who struggles with the creativity and innovation of coming up with business ideas. The principle of asking yourself questions regularly, in this way you will generate a lot of ideas. If you don’t give your brain a task it won’t generate any ideas. In order to create great ideas you need several things, the first is raw materials. The second thing that is important for generating ideas is programming your mind. Our brain is the most powerful computer in the world, however, it doesn’t do anything unless we ask it questions. The third thing that is incredibly important to understand for generating ideas is the formula quantity equals quality. In creativity it works this way, quantity generates quality. The fourth thing is getting in the habit of writing all your ideas down, even bad ones. When you write down your ideas, you send your brain a signal. This signal makes your brain generate the ideas even better. The last thing I will leave you with is called $100 dollar an hour business idea. You take an hour and generate how you can make an extra $100. Once you have your ideas, pick a couple that look most promising and implement them. Very often theses $100 hour ideas turn into million dollar businesses. I started my career as a Networking Engineer and have my MBA degree from The University of Michigan Law School of Business. I am now an entrepreneur and author of five self-development books and I reside in Tennessee. I am convinced that coming up with ideas is absolutely essential for business. When trying to come up with business ideas about entrepreneurship, the problem I faced was this topic wasn’t very well covered. I wanted to create some source for the person who wants to become the best he or she can in the area of creating business ideas. I did extensive research and came up with a system with all the techniques and stages of creating business ideas. What new business ideas do you have floating around in your head?